Buying DSLR Lenses on Shoestring Budget? As a commercial photographer, I was often asked what are the brand, model, lenses to buy etc. Usually I will recommend based on the user’s applications & purpose of buying the equipment. Recently, many asked me, “hey Allan, what if I just want to try (fill this up) photography and I am buying lenses on a budget, what would you recommend?” I will take that as you are buying a Lens to explore new genre, not using this for serious commercial work and you will probably sell or give away the lens once you got sick of it. Below are some of the lenses that I will usually recommend. They are not too bad though, and it certainly gives the big boys a run for their money. Let’s see what I’ve compiled here. Samyang Optics, a Korea Optical outfit have been churning out incredible lenses at a great price and of good acceptable quality. This lens has a bright constant aperture of F2.8 and lens has good coating to reduce CA and flare. It even has aspherical elements! Although the downside of this lens is only available in manual focus, you really don’t have much to complain about comparing this lens with your proprietary brand’s equivalent which usually costs 7 times more. This lens also comes under the brand of Rokinon and maybe other Brands not known to me. Online Price: SGD $480.00 with Shipping (USD $388.00) available in various Mounts. 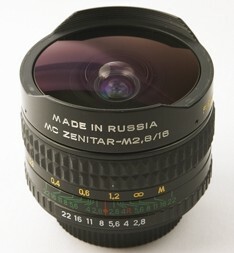 Made by Krasnogorsky Zavod from Russia, this lens is one of the most popular Fisheye in the market today. 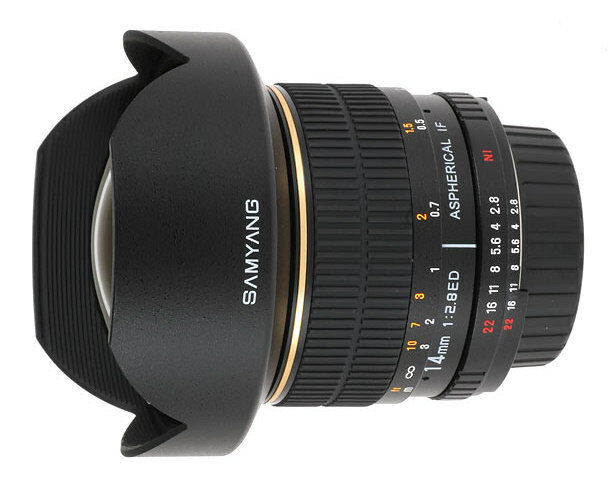 Cheap as it is, this lens produces great fish eye images with a constant aperture of F2.8. Comes multi-coated, lens is good for most outdoor applications. Built with solid metal housing, this lens looks like it can last more than a decade. Usually packaged with dropped-in filters in 3 colors & a little pouch, this is a super-value-for-money hobby lens. Comes in manual focus only, but considering the asking price of less than half of those offered by proprietary brands, this is a steal. Just to add, this lens can be dismantled for a thorough cleaning without the need for screwdrivers and complicated precision tools, all you need to do is unscrew. I did that recently to remove a speck of dust in between the elements, amazing! Online Price: SGD $256.00 with Shipping (USD $207.00) available in various Mounts. NOTE: * Sony Alpha Mount cost slightly more. Well, no one really knows where Opteka comes from. Though brand stronghold is in the USA, there have been talks that these cheap super telephoto zoom lenses could be manufactured elsewhere likeKorea(think Samyang) or even China. That doesn’t bother me though. Opteka has an incredible range of super telephoto lenses. Look at their lenses carefully you will notice that it is basically just a simple adaptation of using telescope with a lens mount to mount it to your DSLR. With that, you get incredible range. Optical quality suffers in some ways, but you get to shoot things that you never thought was possible. Comes in manual focus, these lens are reasonably built with metal housing and comes with tripod mounts. 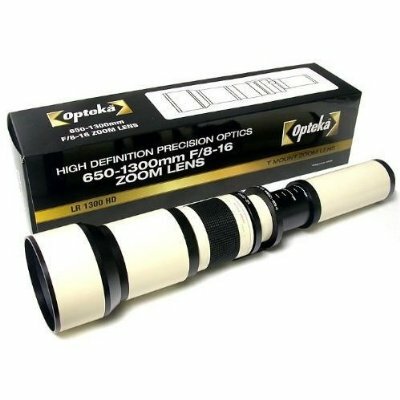 Try asking Canon or Nikon how much is your usual EF 800mm or a Nikkor 800mm, you will remember Opteka. Online Price: SGD $358.00 with Shipping (USD $290.00) available in various Mounts. Note that I had recommended the extreme ends of the range because no one in the right mind will go buy a lens from 17-400mm range to “play”. These are the lenses that became shoe string options that many will consider when compared with a proprietary equivalent that autofocus and has other added features. I will say you just want to have a “feel” of these range. Like I mentioned earlier, you will probably give or sell away these lenses after a while. As a disclaimer, I will not say that the above 3 lenses will give you National Geographic Standard photos, but it will offer you the experience of shooting in a very different range away from your usual range, at a shoe string budget of course. This entry was posted in Brand: Others (Cosina, Carl Zeiss, Leica, Mamiya, Samyang, Vivitar, Zenitar,etc), Photography Articles & Videos, Uncategorized and tagged DSLR, Fisheye, Lens, Opteka, Rokinon, Samyang, Zenitar. Bookmark the permalink.